The Druk Path trek is one of the most popular treks in the small yet exceptionally beautiful country of Bhutan. 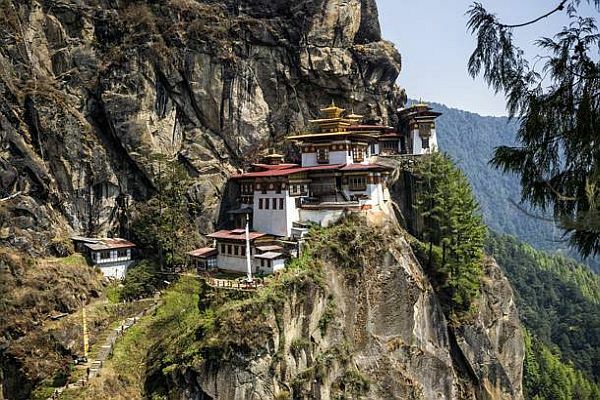 The land of the Thunder Dragon, Bhutan is a mountainous country known for its beautiful monasteries and recently for being one of the happiest countries on the planet. 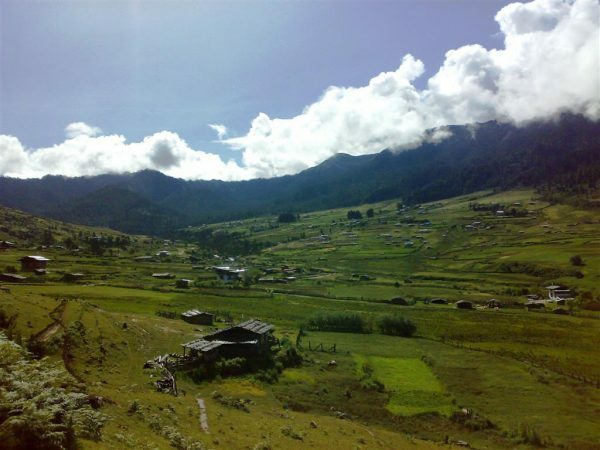 For Indians, Bhutan is an offer one simply cannot refuse and for trekkers, it is simply a paradise. Druk Path trek is a picturesque trek starting from Paro, the second most prominent city after the capital Thimphu and ending at Thimphu. The path takes you through rhododendron and pine forests, some stunning lakes and old creaking monasteries. Imagine looking at endless layers of hills stretching away as far as the eyes can see. 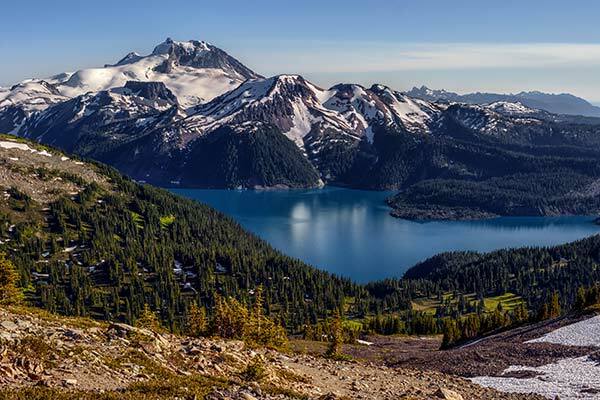 Imagine standing above a ridge and looking at your row of tents below set up in a clearing with nothing but the forests and hills completely surrounding them. Imagine camping by the side of a turquoise lake and gazing into its azure waters while sitting right inside your tent. Imagine walking amidst blood red rhododendron flowers as your thoughts wander a million places but silence comes over you overwhelmed by the beauty all around. That is what the Druk Path has to offer. The vistas and views it offers are spellbinding. Emerging out from the trail as you clamber over a hill the view of an ancient monastery situated on the top of a hill leaves you wonder stuck. With creaking doors and floors the inside of the monastery will take you into a different era altogether. Spiritual people can even spend time doing some meditation here. There are many breath-taking lakes on this trek each better than the previous one. Some are situated on the sides of the hill, some at the base of the hill and some on top. Gazing at the calm and serene waters is a kind of meditation in itself. Though one is not allowed to enter these lakes one can spend hours and hours just sitting by their side lost in thoughts. 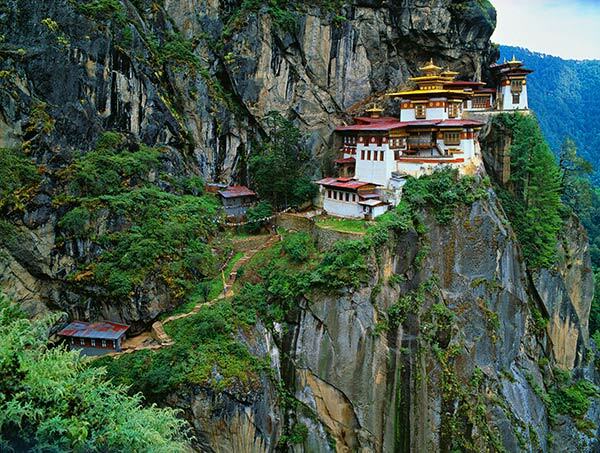 Bhutan has the highest unclimbed mountain in the world, the Gangkhar Puensom. It remained unclimbed because Bhutan does not allow summiting of mountains. Druk Path gives you a chance to take a look at the great vistas of Gangkhar Puensom. The trek begins in Paro and ends in Thimphu so you inevitably have some time to spend in both the cities. You can experience the wonderful culture of the Bhutanese. The traditional attire of the people, the conventional architecture, and the scrumptious food will leave you delighted at having experienced something so different not that far away from India. The trek starts in Paro which is in Chukha Dzongkhag(District) and ends in Thimphu(Thimphu Dzongkhag).Both of these cities lie in the western part of Bhutan. There are two windows for this trek. I will be talking about everything related to the March-May window in this blog post. Duration-The whole trek starting from Paro and ending at Thimphu typically takes 5 days.It can be done leisurely in 6 days too or If you are fit enough it can be done in 4 days also. Grade -This is described as a Moderate trek.First timers can do it by doing some amount of training for it. If Druk path trek has motivated the trekker inside you, book one of our top recommended Bhutan holiday packages to make the most of your trip to this happiest place on the planet. 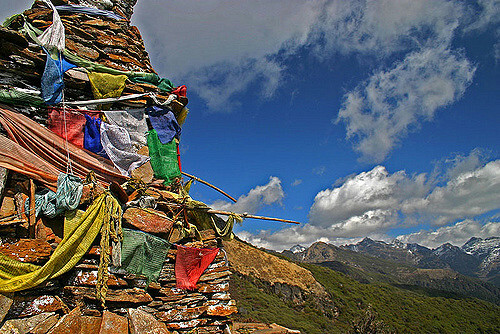 Bhutan's Druk Path Trek is a picturesque trek starting at Paro, Bhutan. Here are the 5 reasons why Druk Path should be on your wish list. An engineer by training. A traveller by calling. He prefers walking in the streets of a remote village than strolling in the swanky walkways of a mall.A lover of the offbeat he spends his free time looking up forgotten forts and buildings and how to visit them.